A Jacksonville family was awarded nearly half a billion dollars in their wrongful death lawsuit against the man who fatally shot their loved one during an argument. The shooter, Frederick Lee Wade, was sentenced to 45 years for second-degree murder while two associates were charged and convicted of being accessories after the fact for helping Wade move and bury the body. One category of personal injury lawsuit that seldom gets talked about is intentional torts. Intentional torts involve intentional acts. A family can sue for damages when their loved one is murdered by another individual. They do not have to prove negligence. They only need to prove that the individual committed the act. In this case, a criminal trial had already decided the issue of guilt. Now it was for a jury to decide the question of damages. In cases like these, it is not uncommon for the jury to award punitive damages. Punitive damages are awarded as a means of punishing the defendant for willful misconduct and a careless disregard for the rights and safety of others. Punitive damages are distinct from compensatory damages which aim to compensate the victims for their loss. How Does the Family Collect? In a case like this, the verdict may be largely symbolic. It is unlikely that the defendant has half a billion dollars in order to repay the family. The attorney for the plaintiff will send the verdict to a collections attorney who will file suit against the defendant. Once the collections attorney receives a judgment against the defendant, they will be able to place liens on any real estate they own or levy their bank accounts. They may also be able to order writs of execution that allow them to seize property under the judgment. While the total sum collected may never come close to $495 million, it may give the family some solace that they, in effect, drained the defendant dry of any money or assets they had. Can the Defendant File for Bankruptcy? The defendant can file for Chapter 7 bankruptcy and the courts will likely discharge the jury award. However, during the process, the defendant’s estate will be liquidated to the degree possible under the law. Those filing for bankruptcy under Chapter 7 have the option of protecting certain assets up to a specific amount of value. The defendant will then have to forfeit whatever is left over. That’s a hard question to answer. In some cases, the criminal justice process isn’t enough for a family. Families or injury victims can hit them through the civil courts as well. It’s hard to say how much money the family will actually recover after their personal injury lawyer and their collections lawyer’s fees have been taken out. But then again, getting the verdict and putting the defendant in a very awkward position may be enough reward in and of itself. 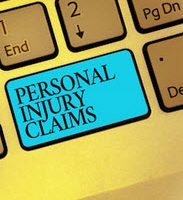 Most personal injury attorneys work on contingency. That means they get a cut of whatever they win. It is unlikely that the family would have had to pay anything in order to file suit. Gillette Law in Jacksonville can help you recover damages if you were injured either intentionally or negligently. Give us a call or talk to us online to set up a free consultation.